There are so many kinds of metal out there. Many of them don't appear at first glance to be suited for making into crafts, but stay tuned, and find out what I look for. I've used coffee cans, burned over the bonfire, to make into some interesting and unique displays for porches and even inside your home. Cheap oven liners can be transformed into reasonable facsimiles of antique tin ceiling tiles - with your own unique twist, of course. Bits of recycling and junk that at first don't seem to have any use (maybe they did, a long time ago) can be joined up with other junk. Thrown away stuff like the tops of little trophies can make surprisingly fun little knobs for decorative jars. Cake tins from the dollar store will shock and amaze you when they're weathered and made into mirror frames. I've combined some surprising stuff to make some witty and fun items. Decorate your living space, celebrating junk and making it into something completely unique. 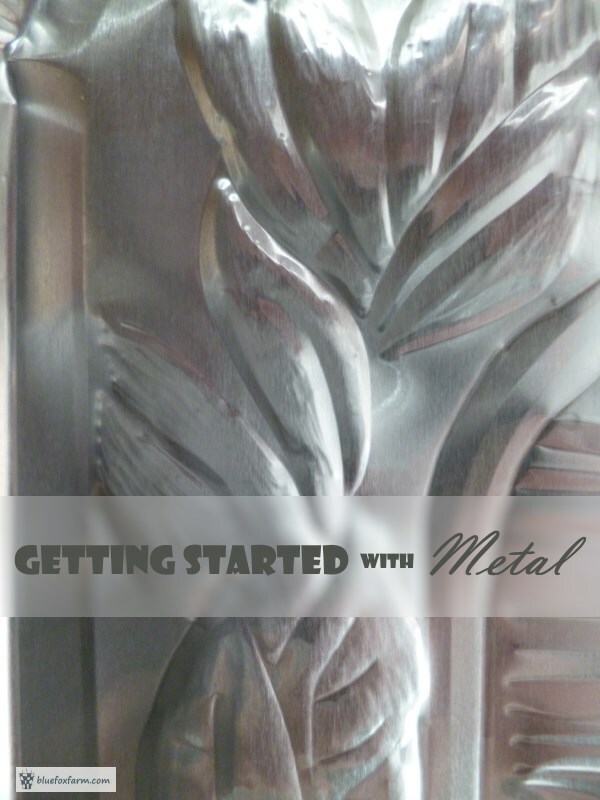 Sign up in the form below to get an email every couple of days with links to some of my articles that deal with metal; you'll find out how to think outside the box, and come up with your own ideas.